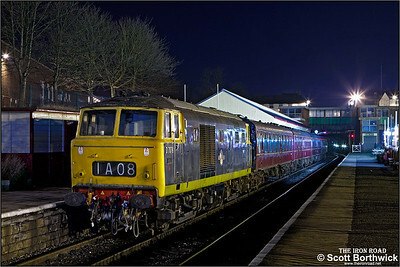 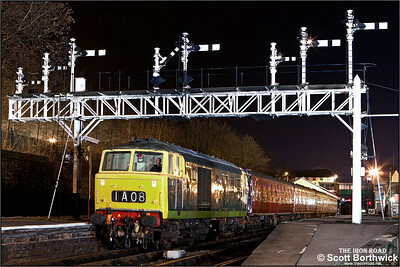 D7076 awaits departure from Bury Bolton Street on 16/02/2013. 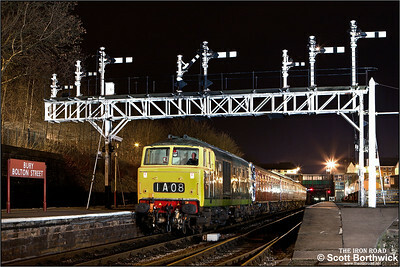 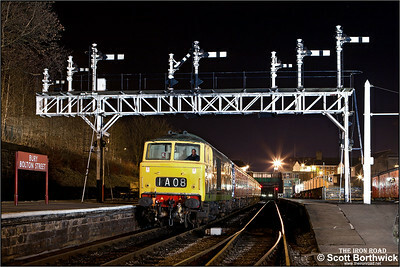 D7076 passes under the impressive signal gantry at Bury Bolton Street on 16/02/2013. 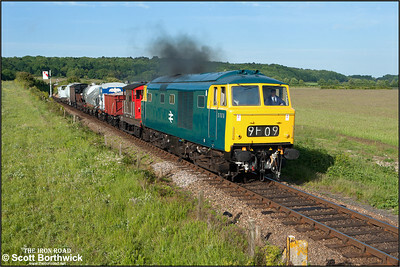 D7076 accelerates away from Weybourne with a short mixed freight on 11/06/2015. 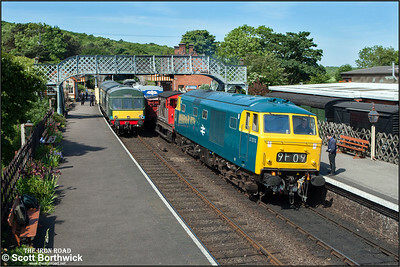 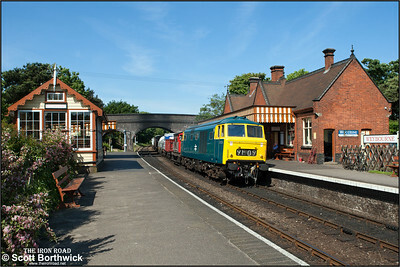 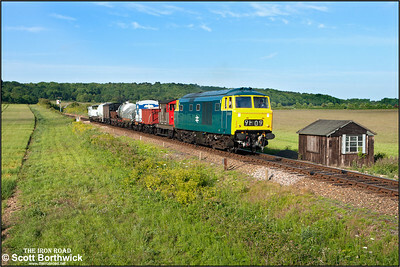 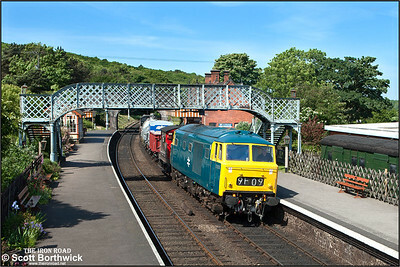 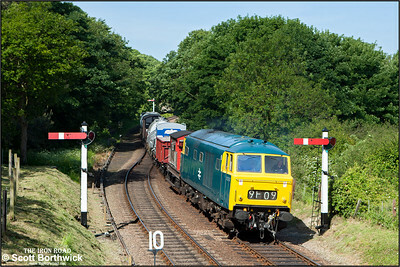 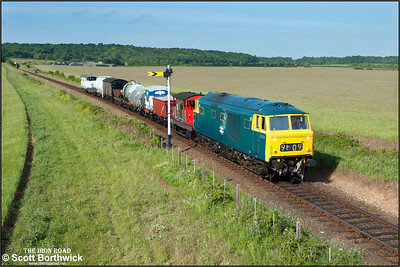 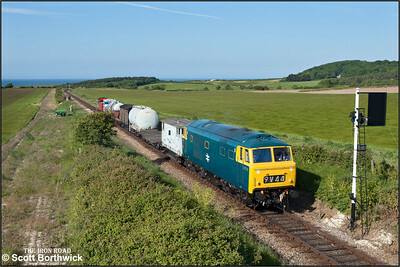 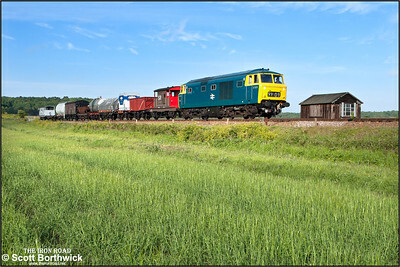 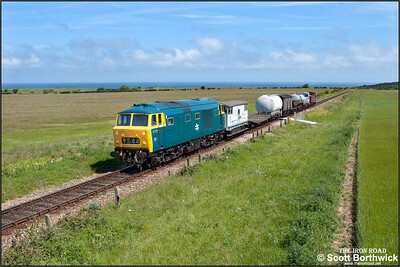 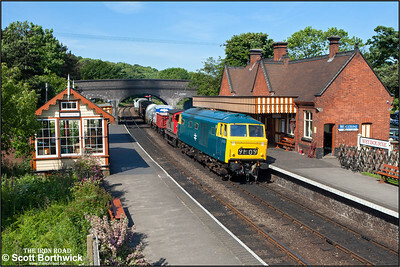 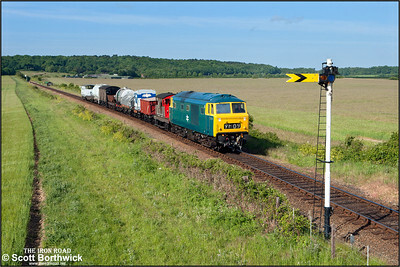 D7076 and its short mixed freight arrives at Weybourne on 11/06/2015. 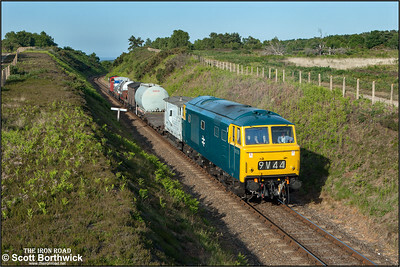 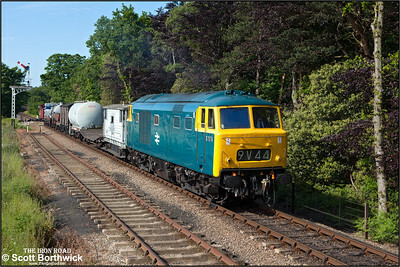 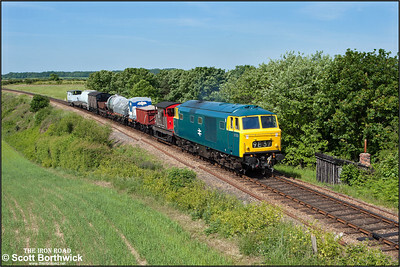 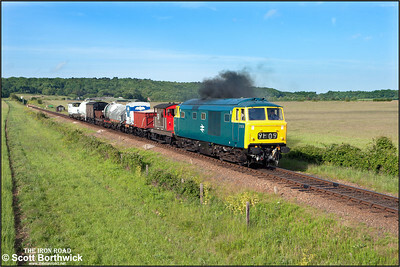 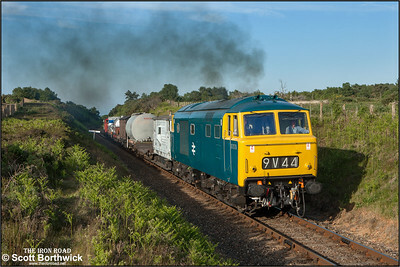 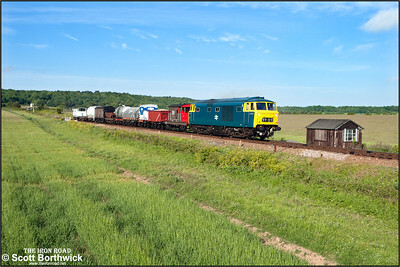 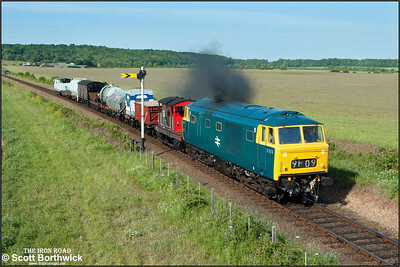 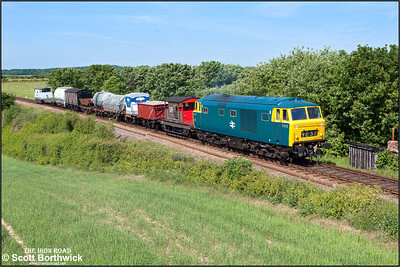 D7076 thrashes through Kelling Heath cutting with a short mixed freight on 11/06/2015.